This is called entering the unicorn club in in style. 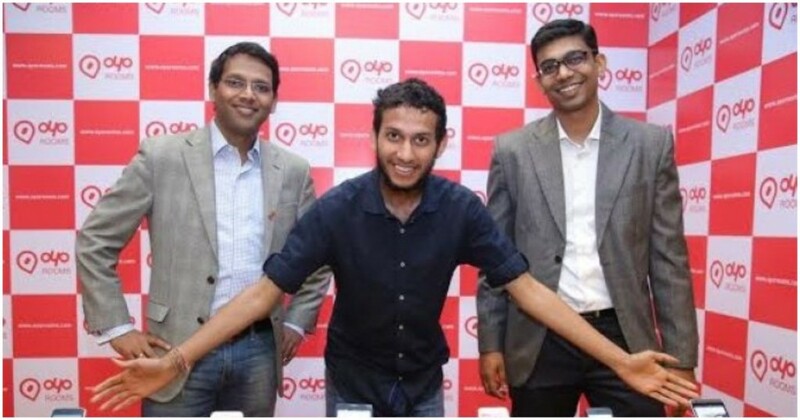 Oyo Rooms has raised an astonishing $1 billion (Rs. 7,200 crore) in funding from existing investors including SoftBank Vision Fund, Sequoia Capital and Lightspeed Venture Partners. The companies have put in $800 million, and have committed to put in another $200 million. This latest fund-raise is larger than Oyo’s entire valuation up to this point — before the latest infusion, Oyo was valued only at around $500 million, and had raised only $250 million. But thanks to the latest fundraise, Oyo has become India’s latest entrant into India’s unicorn club. While Oyo didn’t reveal its latest valuation, it could be valued at around $3-4 billion, immediately making it one of India’s most valuable startups. Only Paytm, which is valued at $10 billion, and Ola, which is valued at around $4 billion, are now more valuable than the hotel chain founded in 2013 by then-19-year-old Ritesh Agarwal. Oyo says that the funding will help it develop its overseas markets. “The company will direct a significant part of the funds from this round of financing, approximately $600 million, into strengthening its position in China, which is still in the early stages of growth,” Oyo said. Oyo had expanded into China earlier this year, and says it now has over 125,000 rooms in the country in 171 cities. Curiously, as we’d reported earlier, these rooms can’t be booked through its main English site, but only through a Chinese WeChat interface. Oyo has had a large focus on international operations in the recent past. Apart from China, the company recently moved into the UK with a single branded Townhouse property. It also runs limited operations in Malaysia and Nepal. All these hotels are accessible to Indian travelers through its main site. But China seems to be Oyo’s biggest overseas push — in June this year, it had said that it had 11,000 rooms in the country — to have 1,25,000 rooms in place by September appears to be stupendous growth. 2018 is emerging as a particularly fruitful year for India’s startup industry, with several firms seeing their valuations go past $1 billion — over the last few months, Byju’s, PolicyBazaar, Swiggy and Udaan have all entered the unicorn club. But Oyo’s probably entered the list with the most pizzazz — most companies slowly raise money to have their valuations go past $1 billion. By raising the $1 billion in a single round, Oyo’s stormed into the unicorn club, and sounded a warning alarm to other players in the hospitality space, both in India and abroad.